Rob and Lynda MacDonald established MIEngineers in Berry on the South Coast more than 30 years ago.From humble beginnings, MIEngineers has developed into a truly international company, with offices in the Shoalhaven, Sydney, New Zealand and the United Kingdom. The design, consulting and cost engineering firm has played a leading role in major projects locally, nationally and internationally, but it has always stayed true to its Shoalhaven roots with the bulk of its 50 staff based in the Nowra office. CEO Amy-Ruth MacDonald is MIEngineers’ new CEO having taken over from Rob in late 2017 and is proud to continue the family business established 32 years ago in Berry. “We are very lucky in the Shoalhaven to have great access to fantastic staff, many of whom have been with us for 10 years, and our longest serving employee is about to celebrate 30 years,” she said. Amy-Ruth is relatively new to the CEO role, however, she is not new to the business and has spent her working life in the industry. Amy-Ruth spearheaded the company’s expansion into England, opening an office in Manchester in 2005. Fortuitously, a report was published around the same time which was critical of Highways England’s cost blow-outs and highlighted the need to correct its cost estimations. 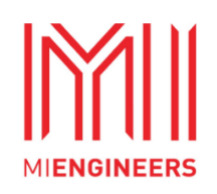 MIEngineers stepped in with its cost estimate procedures and processes, as well as helping to write new technology. Since that time, MIEngineers has contributed to large-scale UK infrastructure projects including the Lower Thames Crossing, many of England’s smart motorways and Scottish Roads. Back home the company’s name is synonymous with major NSW road projects including WestConnex, the Pacific Highway, West Harbour Tunnel and the Northern Road upgrades. It has become one of the most well-known company names in the UK and Australia for its cost estimating and engineering capabilities. Amy-Ruth said the Shoalhaven office was consistently busy. The majority of the company’s professional staff are engineers and one project which is close to her heart is recruiting women to the company. “Being a female CEO in an engineering company is not that common. It’s been a long road for me but it’s forced me to really look at our industry and work at supporting women in it and who want a career in engineering,” she said. The company is a passionate supporter of the University of Wollongong’s STEM project - Science, Technology, Engineering and Mathematics - which encourages young female students to pursue careers in those subjects. “Promoting women in STEM is one of the most important things to me,” Amy-Ruth said. She paid tribute to the University of Wollongong’s Shoalhaven campus and said the majority of the company’s design staff were UOW graduates who completed internships and training with the company before taking on full-time roles. Amy-Ruth said MIEngineers had a great growth strategy and was looking at new offices and doubling its numbers in the next few years. The Shoalhaven will be the base for much of the planned expansion. The company’s Design and Project Management Group Manager, Graham Stokes, said the region was fortunate to have access to essential networking and support services for professional and business people. Graham serves on the Mentor Committee for the Shoalhaven Professional Business Association, of which the company was a founding member, and he is focused on providing a stepping stone into the industry for locals. “We want local graduates, professional kids to know that when they finish university, there is a spot for them in the Shoalhaven to work in their chosen career,” he said. Graham said the Shoalhaven’s continuing growth, helped by vastly improved transport access, allowed young people to get a foothold in existing companies, or even to start their own businesses. “People are starting to see the potential of the region and to realise that potential by investing in the Shoalhaven and starting new developments that we’re also involved in,” he said. Amy-Ruth agrees the Shoalhaven is one of the most beautiful places in Australia.